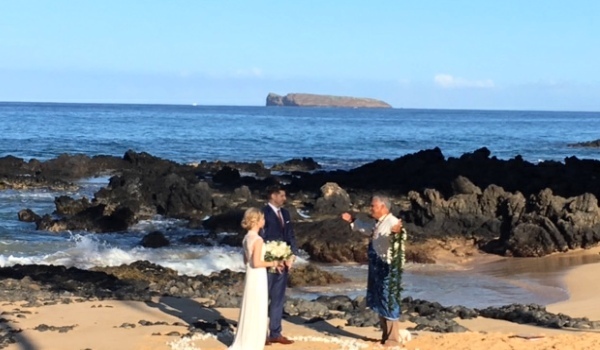 We welcome all Maui weddings and have provided exceptional service for hundreds of new couples choosing Maui to make their dreams come true. Christopher Luxury Sedan Service's BMWs are Maui's wedding planner's first choice for exceptional timeliness and providing the right choice of vehicles in service for any wedding party, whether it's just a bridal delivery to the experience or driving the new couple to their honeymoon suite. Christopher can accommodate any bride's desires by choosing either a ivory white, cashmere gold or silver BMW 740Li for their personal chauffeur and add other BMW cars or Limo Vans for family and their attendants. Please call and speak directly to the general manager to discuss your individual needs and receive an exceptionally low priced quote for unparalleled five star service to make your wedding as perfect and worry free as possible. We have packages as low as $155 which includes tax and a basic gratuity, please call or write to get started on one of the most important coordinated "time executed" parts of your big day. It's much easier driving to or from your wedding in the most romantic cars on the island dedicated to wedding experiences, be part of our family of successful brides and grooms. Read some of the 5-star Yelp! reviews regarding various wedding experiences, the praising testimonials are real and unsolicited.